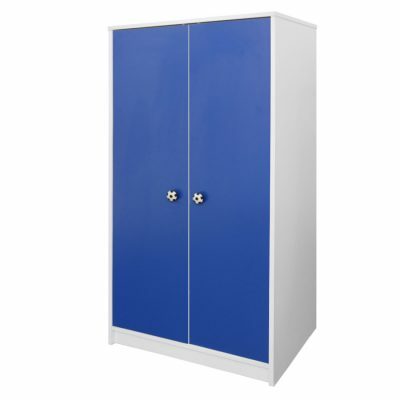 Our kids wardrobes feature a single hanging rail offering unobstructed hanging space. They are slightly under-sized in comparison to a full size wardrobe so that children have access to their own clothes and can pick up their own outfits! 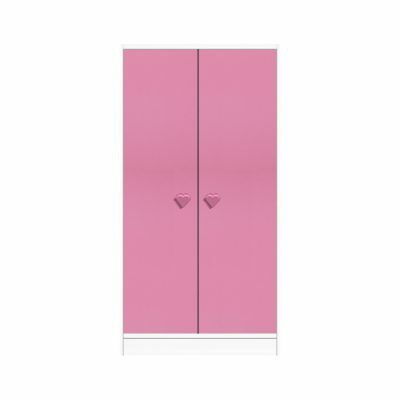 The kids wardrobes are available in white, pink, red and blue and has an option of either a white football handle or a pink heart handle.